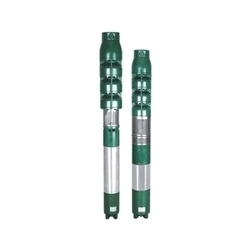 Our range of products include 6 inch borewell submersible pump, 8 inch borewell submersible pump, binda 6d submersible pump, borewell submersible pump, 15 hp borewell submersible pump and 6/7, delma submersible pumpset. Method of Starting Single Phase, Capacitor Start and Capacitor run (CSCR), Three Phase, DOL upto 5.5 kW, SD upto 26 kW. 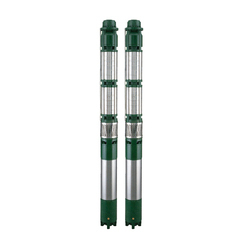 We take pleasure to introduce ourselves as one of the renowned firms for providing the best-in-class range of 6 Inch Borewell Submersible Pump. T-Bolt design in all motors ensures rigid construction. Specially designed high-performance thrust bearings (SS with Carbon) are used to withstand axial thrust loads. 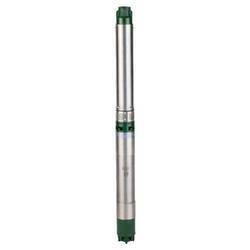 With rich industry experience and knowledge, we are providing an excellent quality range of BINDA 6D Submersible Pump. 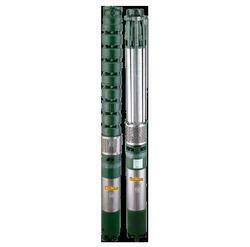 C.R.I.’s new double depth BINDA 6D submersible pumps are specially designed for conditions where the ground water level is too deep. 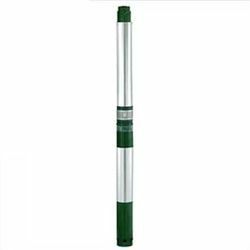 BINDA 6D is designed to work in more depths and is build with sturdy AISI grade stainless steel material. 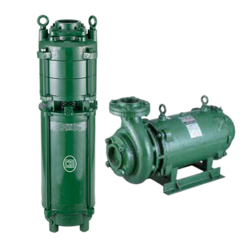 This series guarantees long life with energy-efficient performance. 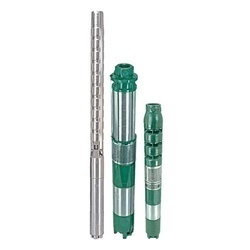 The built-in check valve prevents back flow and reduces the risk of water hammering. 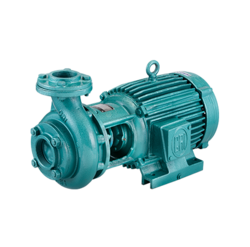 Double working capacity compared to other pump sets.